The CIA is paying the American Telephone and Telegraph (AT&T) telephone company more than 10 million dollars a year for access to their huge databases, including calls made by U.S. citizens, according to The New York Times. The CIA points out the phone numbers of suspected "terrorists" abroad and AT&T revises its databases and call logs that could help identify collaborators. 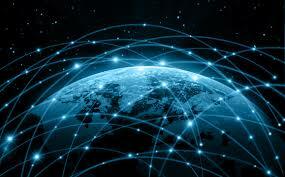 The company has a large data file of phone calls, both international and domestic. The newspaper states that this program shows that other agencies outside the National Security Agency (NSA), are using metadata - date, duration and number of phone calls, but not the content of their research. In some cases, the CIA sends telephone numbers to the FBI, which in turn can request an administrative order for AT&T to give all the information. The CIA and AT&T do not confirm this information. CIA spokesman, Dean Boyd , has refused to confirm the program but has said that the agency's activities are legal and are " subject to a wide supervision." "The CIA protects the country and maintains the rights of Americans by ensuring that data collection activities are focused on obtaining intelligence and counterintelligence information under U.S. law," he added. For its part, AT&T spokesman Mark Siegel, said to the New York Times that the company "values ​​the privacy of our customers and works hard to comply with the law in all respects." "We do not comment matters related to the national security", he stated concerning the alleged collaboration with the CIA.